The Yocan Evolve C Concentrate Atomizer is also compatible with Yocan Hive. It utilizes magnetic connection for easy and fast replacement. The atomizer is made of quartz glass heating element to heat waxy or thick oils thoroughly and evenly for quality vapor flavor. The Yocan Evolve C Atomizer is compatible with a wide range of Yocan vaporizers. 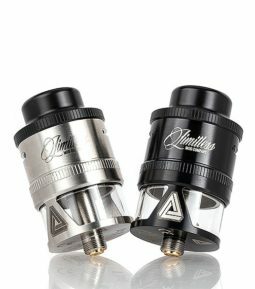 The Evolve C Atomizer is made up of 3 main parts, the mouthpiece, the oil chamber, and the magnetic connector or adaptor. All the components used in the Yocan Evolve C Atomizer are made from medical-grade materials to ensure safety and durability. The Yocan Evolve C Atomizer was built with the active concentrate consumer in mind and is the most ideal atomizer to vape your concentrates. The Yocan evolve c atomizer can also fit a variety of 510 threaded ego pens and vaporizers.